Although inexperienced bike riders might not think much about the matter, the issue of having protective gear shouldn’t be ignored or taken lightly when mountain biking. Given the nature of this sport, you never want to be left high and dry in a remote place with a head injury, because you wanted to save up some money on proper protection. With mountain biking, you’ll need an extra bit of protection and reliability. In the rough-and-tumble world of mountain biking, where accidental crashes can be an all too common an occurrence, a mountain bike helmet is an essential bit of headgear to have on the trail. Thanks to recent advances in mountain bike technology, riders can now go faster than ever. This has initiated a revolution in helmet design. Today’s mountain bike helmets come with improved head coverage and advanced safety tech, making them more protective and better fitting than ever. We’ve rounded up our choice of the best mountain bike helmet currently on sale right now. Why Should You Wear a Bike Helmet? 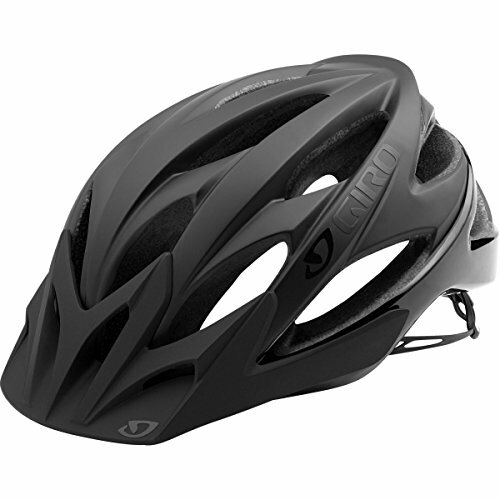 Giro’s all-new Feature MIPS proves that one doesn’t have to spend a lot to get a safe, comfy, and light-weight mountain biking helmet. It’s sure to get quite a number of riders excited about purchasing a new lid. The Feature is a significant leap-forward in mountain bike helmet design and execution for fit, appearance, and safety. Aesthetics are a very personal and subjective feature of any piece of riding gear. This bike is specifically designed for the long-travel trail rider. You are sure to love Giro’s updated shape and design that offers a bit more coverage than most other helmets for mountain biking. 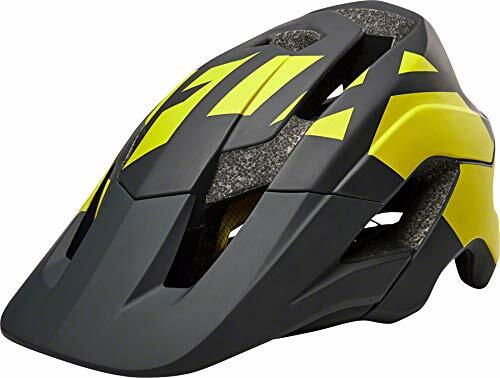 And so, if you’re someone who rides hard and would want a bit more coverage and performance than the average XC mountain bike helmet provides, then this is it. This is a stylish mountain biking helmet that boasts advanced protection. It’s constructed with an In-mold polycarbonate shell with an EPS liner (Expanded Polystyrene) bonded beneath it. These features combine to ensure that you remain safe. The MIPS, or Multi-directional Impact Protection System, is built into the Giro Feature MIPS. It reduces the potential for concussions or other brain trauma following a crash. Add to that a decent set of a pad and you are getting a safe yet comfortable lid. The adjustable moto-style visor is a nice feature of this helmet that provides additional protection for your eyes and helps keep the sun out of the eyes. Since it’s adjustable, as such it permits the wearing of goggles. What’s more, the visor removes easily in case it becomes an obstruction or if you decide you don’t want it. Unlike some cheap mountain bike helmets, the Feature MPS looks equally ritzy with or without the moto-style visor. The helmet has 12 vents that are strategically-placed and linked via internal channels. They offer upward air flow, efficiently pushing heat up and channeling air over your head and out of the helmet. This helps prevent heat exhaustion, especially on a hot summer day while still providing plenty of coverage. The head cradle, perfectly-placed chin strap, and ratcheting adjustment knob at the back all combine to make this helmet snug and secure. In-Form is a one-dial fit system which allows you to snug-up the biking helmet even with gloves on. The wrap-around design is meant to hug your head comfortably. 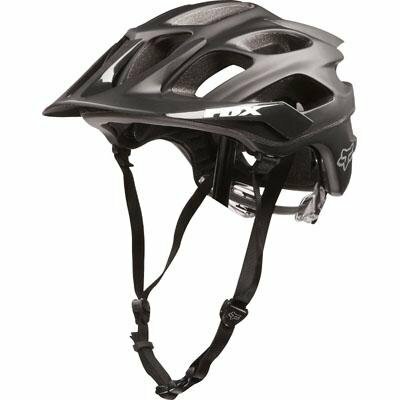 It not only looks good, but it also offers maximum stability adjustment and full protection for your head. The Feature is available in 3 sizes to fit a varied range of head sizes. Like any mountain bike helmet, ensure that you take precise measurements of your head prior to ordering so as to get the correct size. Helmet For years, Fox’s Flux MTB has continued to be a popular choice for mountain riders. Fox Flux MTB helmet is a versatile yet affordable helmet. Its versatility is shown in it working well in various riding styles. The Fox Flux MTB is a half-shell helmet composed of polycarbonate shell which wraps around the polystyrene foam’s lower edge. This feature protects it from dents and dings and increases durability. It can, therefore, take lots of abuse, which it inevitably will and is bound to last longer. The deeper rear profile of the Flux’s EPS shell comes down far over the back of the head offering full protection and coverage than a traditional XC mountain bike helmet. This makes it an ideal bike choice in case you love rail-riding or occasionally take part in endure-races or occasional XC. The Flux features a medium-sized adjustable visor for protecting your eyes and face from rain, sun, and mud. The visor is attached to this mountain bike helmet via rectangular snaps located at either side of the helmet. And although the visor is pretty small and provides little adjustment, you can completely remove it by just unsnapping it. The adjustable visor also easily snaps off in case of a crash but compared to other helmets, its hard outer shell covering protects it from significant cosmetic damage. Ventilation is a vital aspect of your choice of the best mountain bike helmet. The Flux MTB has 20 large vents which offer adequate airflow. This complements the deeper rear coverage, and vents extremely well. There is also an odd spoiler-like attachment to the rear of the helmet that is a little flashy and is constructed of the same material as the visor. This adds to the ventilation by increasing airflow through the helmet and sucking air into the back of the helmet. The helmet uses an adjustment system known as the Rear De-Tox ratchet retention system in place of a dial wheel. This works just fine to allow you to snug-up the biking helmet and provides a large range of adjustment. Overall the Flux MTB is a good bike helmet at a reasonable price. What’s more, the helmet includes a MIPS liner for extra protection. The padding is enough to make it a bit more comfortable to wear during long endure-races and rides. 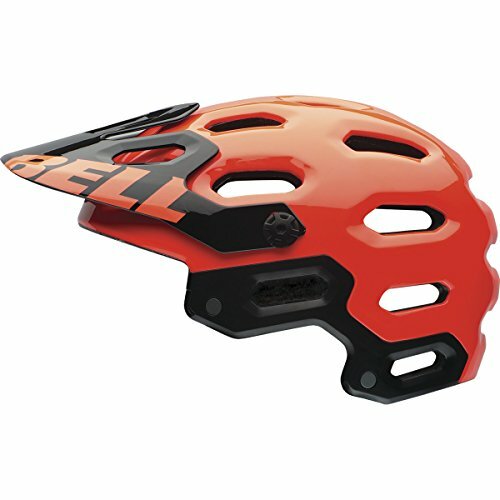 Bell is well-known for making excellent mountain bike helmets. The Bell Super 2 is no exception. 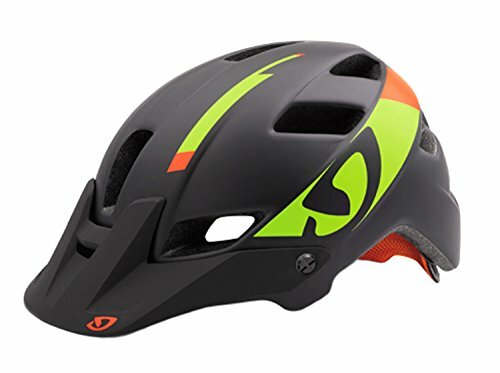 This is a full face model and it has impressed many and leads the field in all-mountain and trail helmets. From trail center sessions to enduro racing, this mountain biking helmet will keep you covered. This feature-packed helmet comes with added features all designed to maximize safety, comfort, and usability, making it one of the best full-face MTB helmets on the market. The main feature of the Bell Super 2 is MIPS, which helps it fit deep around the lower back of your head. It’s then retained by the adjustable TAG fit system which helps keep it nice and snug in your head. This updated version of Bell’s fit system is comfortable and offers great retention. The shell of this helmet is composed of a Fusion In-Mold Polycarbonate with polystyrene internal reinforcement. This completely covers the helmet giving plenty of protection whether you crash on your head or in the back of the van. 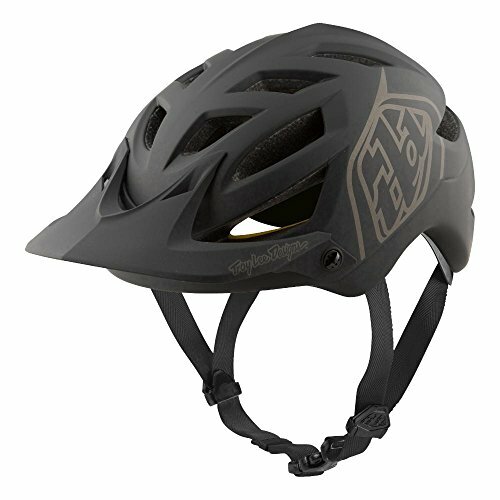 Since it’s aimed at aggressive hardtail mountain bikers this helmet packs in all the safety feature you’ll ever need, and goes above and beyond standard safety standards. 23 external vents are well placed, and along with four additional Overbrow’ ducts. The Super 2 features 23 smallish external vents that are evenly distributed and well-placed around the helmet. At the front of this helmet are four horizontal Overbrow’ ducts or slits that keep air flowing through and out the helmet’s rear. Other than its vents which ensure you remain cool and comfortable at all times during your ride, this helmet also features an adjustable visor for protecting your eyes against the sun. It is highly adjustable, with a large range of articulation. You’ll really like this feature since it allows you to wear goggles on the helmet’s front with the adjustable visor fully flipped up. Last but not least, this helmet also includes an integrated breakaway mount for cameras and lights. This feature gives you a custom-fit and the option for you to add in a GoPro’ camera is a great added bonus for capturing your finest rides or crashes on video. This helmet is ideal for those who like the style as well as function. It features one of the unique designs that resemble helmets worn by professional motocross riders. The litany of available colors makes it the top choice for many riders who need head protection that compliments their clothing. It also features a conveniently adjustable visor which makes it ideal for riding in the summer. However, safety is the most important component of any bicycle helmet, and the Troy Lee Designs A1 MIPS Helmet also delivers in this area. The outer shell is composed of in-molded polycarbonate which is known for its toughness. This material is durable to keep the rider safe should he or she fall from the bike. Most trails are lined with rocks or other potentially harmful objects so a tough outer shell is of the utmost importance. The internal area of the helmet is composed of EPS impact foam. This material is pliable yet soft enough to keep the rider safe from impact. The foam provides comfort as well as well as safety from head injuries. The helmet is held in place by the triple position adjustable retention system which is designed to provide maximum comfort. Many helmets feature a single strap which can cause discomfort but the Troy Lee Designs. At MIPS Helmet doesn’t have this issue? The retention system also provides a better fit to adjust to the natural contours of the human head and face. This helmet won’t slip upon impact, reducing the rider’s chances of getting hurt. The only con of this particular helmet is the rather masculine design which might not appeal to everyone. This is another relatively stylish helmet that features 17 Wind Tunnel vents to reduce wind drag. This helmet isn’t as macho-looking as the previous entrant in this comparison which gives it universal appeal. The outer shell is composed of durable polycarbonate plastic. Unfortunately, the many large holes don’t provide as much protection against impact. This is why many people only purchase the Giro Hex for children. This is also one of the most comfortable bike helmets on the market. The inner shell is composed of EPS foam to provide optimum comfort to the wearer. The Roc Loc 5 Fit System may be this helmet’s most desirable trait because it provides an excellent fit. This makes the helmet far more likely to stay in place on impact. It also means the helmet is more comfortable for the rider. The visor is also impressive, featuring 15 degrees of vertical adjustment. It can also be removed completely for those who prefer to ride without it. Unfortunately, this helmet also leaves the base of the head exposed so it isn’t as safe as other helmets. This helmet is really ideal for children or those who plan to ride at moderate speeds. Anyone who races mountain bikes or performs tricks should certainly consider another option. Fortunately, the helmet is available in a number of vibrant colors and sizes. It seems to be better suited for someone who values form over function because it fits more like a large hat than an actual helmet. While all of these helmets are relatively stylish, the Smith Optics Forefront All Mountain Bike Helmet also offers an appealing color scheme. The rider is sure to draw lots of attention from other riders because these helmets are extremely appealing to the eye. They also cover the base of the head and fit like an actual helmet. Unfortunately, riders aren’t given the option of an adjustable visor which will cause some people’s interest to fade. This helmet was designed for racing and a heavy visor would provide additional weight. The shell is made from Aerocore technology featuring Koroyd. This is a particularly tough material that can protect the rider from heavy impacts. It’s also a light-weight material that won’t slow the rider. The VaporFit adjustment isn’t as comfortable as others but it does hold the helmet in place even during a collision. Essentially, this helmet provides both forms an function but it’s also one of the most expensive options on the market. 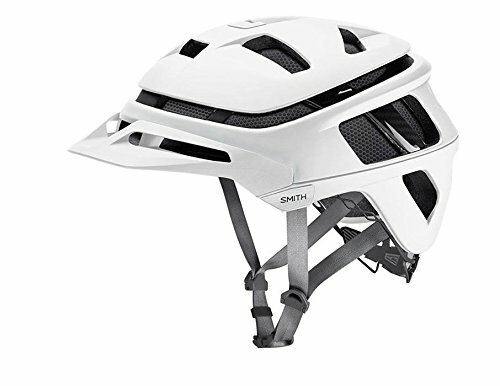 The Smith Optics Forefront All Mountain Bike Helmet is best for those who intend to race or compete in motocross type events. The price is only justified for people who need an extremely lightweight helmet that can stand up to heavy impacts. People who regularly perform tricks that expose them to falls should definitely consider this option. The Giro Phase Helmet is designed to fit the most serious bike riders. It is affordable, yet it is able to deliver great features and meet all key criteria. You can use it in an all-day climb on a rock-littered track, and it will remain intact. 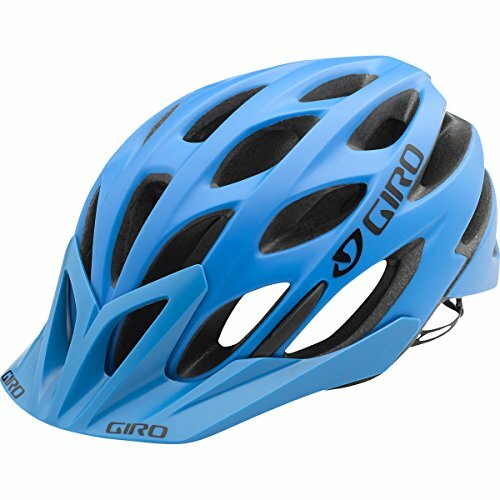 The Giro Phase Helmet uses in-mold technology to attach a microshell to an impact-absorbent and expandable polystyrene liner. This makes the model durable yet lightweight. It only weighs 316 grams, but it can handle the most formidable climbs and rock-strewn tracks. The helmet comes with 27 wind tunnel vents to keep you cool while cycling under great heat and get rid of head fumes. It also has a snap-fit 2 visor to keep the sun and rain out of your face. The low-profile design of the Giro Phase Helmet gives riders an extra touch of protection on the rear and at the sides. With the use of Acu-Dial 2, it remains attached to your head even when you take a tumble. The peak is also detachable, so it will not damage the rest of the lid. The Acu-Dial system allows riders to fit the helmet snugly. It also makes micro-adjustments on the trail possible. A simple click-wheel, which can be found at the rear, is all it takes to adjust the helmet. The helmet uses Roc Loc 5 for an easy fit and Super Fit for sizing. Because of its lightweight and low-profile design, it is unobtrusive. Thus, it is highly comfortable to wear. The Fox is one of the strongest players in the mountain gear and apparel industry. Their products usually combine style and innovation. Though they don’t release bike helmet models as often as other brands, they never disappoint when they finally do. The Fox Metah is the first Fox All-mountain helmet, and it is designed to meet the needs of the modern trail rider. The first thing you’ll notice with the Fox Metah is its wide and accommodating shell. It takes its design from the Fox Rampage but with a non-removable fixed peak and a lower coverage that extends to the back of the head for added protection. The helmet may not appeal to those who don’t like big helmets. However, it will surely keep the head secured and protected. The Fox Metah has 10 big bore vents that improve the airflow and prevents hot and sticky conditions. Its visor is aligned with the vents for a better circulation of air. The visor also provides protection from the sun and trailside vegetation. Superior protection With Fox Varizorb, a multi-density impact reduction system that uses EPS foam layers, the Fox Metah enhances the level of protection it can provide the rider. The foam makes use of a cone-shaped structure that acts as a speed reducer. It disperses any high-energy impact so that the damage will not be critical. Add this to its deep coverage design, and you’ll have a helmet that completely gives you extensive protection. The premium liner of the Fox Metah has sealed edges to improve comfortability and moisture management. To ensure that the helmet fits the head snugly, Fox uses the Y-strap system. This allows you to quickly tighten the helmet around the head with just a twist of a dial. No-fuss adjustments The Y-strap anchor system lets you adjust the helmet with the use of a dial. It can be done quickly and easily. With the rear dial retention system, the helmet is held securely in place, thus eliminating the need for further adjustments. Giro Xar is the updated and more refined version of the Giro Xen. People love it because well-selected parts have been used in creating a multifunctional whole. It has been under development for two years. And when it’s finally released, it has easily become the favorite of free riders, trail riders, and enduro racers. Appealing Design Giro Xar’s sleek and streamlined shape is a mix of the designs of Giro Xen and Giro Hex. It is angular in style. The overall profile is not bulky. The rear is extended, giving a good coverage without compromising the need for speed. This helmet is deemed to be one of the lightest models in the market. It only weighs 327 grams. The integrated Roc Loc 5 is impressive as it is 40% lighter than the previous systems. 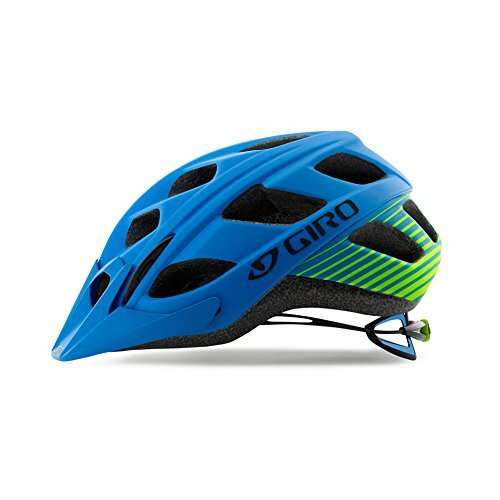 Giro Xar is the first Giro model to use the refined Roc Loc 5 retention system, giving the helmet the most secured fit. This system makes use of a slim rotary dial that makes any adjustment easy. In fact, the task can be done even while cycling with just one hand. Since the helmet uses Girds Super Fit sizing as well, it’s easy to find the exact size that will fit your head. The helmet has 17 vents working together with an internal exhaust channel. Cool, fresh air is guided inside, and hot, stale air is eliminated. Combine these deep vents with an extended visor, and you will have a helmet that protects you from the heat of the sun. What’s more is that the X-static antimicrobial pads can be removed and washed so you can eliminate any odor build-up. The in-mold construction of the helmet bonds of the shell and the impact-absorbing polystyrene liner together. This helps create a durable model. Giro also weaves a web of tough and stiff nylon within the helmet in order to provide a higher level of integrity and strength. Choosing the right bike helmet is a great challenge for many riders. Therefore, mastering bike helmet shopping tips is an added advantage to all cyclists. The “CPSC – Consumer Products Safety Commission” makes sure that manufacturers of biking helmets and other cycling safety gears meet the ideal quality, as well as, safety standards. Licensed bike helmet manufacturers are expected to create brands that can contain severe impacts. They should also be comfortable and light. Here are some crucial features of a quality bike helmet. The leading makers of biking gears utilize extended polystyrene froths to make quality headgear liners. When a crash occurs, the liner disseminates the rotational impacts to protect the head of the cyclist. Therefore, the user should always ensure that the liner fits the head well. A plastic shell sometimes cover biking helmets to hold the safety gears together after a crash. The shell also offers enhanced puncture-resistance. The shell allows the helmet to slide once an impact happens. Therefore, the neck and the head of the rider remain protected. Quality bike helmets should feature straps that are easy to buckle and unbuckle. Full-face Protection: Bike helmets also contain wraparound chin bar to offer face protection, especially for park riding and beginner mountain biking. Some bike helmets also include sun-shielding visor. The visor offers slight wind resistance and an ounce of weight. Vents help to boost the wind-flow over the head of the user making the riding more comfortable and cooler. The bike helmet becomes lighter when vents are more. The “MIPS-Multi-directional Impact Protection System” technology helps manufacturers to make durable biking helmets. The technology provides enhanced protection from rotational impacts. Helmets equipped with MIPS also contain a low-friction layer. When a crash occurs, the foam liner absorbs the force and only rotates gently around the user’s head to avoid more injury. In general, it just moves a couple of millimeters but it altogether limits the rotational impacts that may be transferred to the brain of the cyclist after the crash. MIPS bike helmet is slightly expensive compared to the standard brands. The sizes and styles differ from one manufacturer to another. The head shapes and sizes also vary from one cyclist to another. However, you can select the right fit by visiting a reputed store and trying various sizes, models, and brands. Even children should use helmets that best fit them to avoid potential dangers. They are uniquely designed to ventilate smoothly at lower speeds. They also feature special visors, improved rear-head coverage, as well as, a secure and a firm fit. The particular features are critical especially while cycling through a rough terrain. They feature an aerodynamic design, good ventilation, and low weight. The helmets keep the weight extremely low and offer the rider with an obstructed view, especially when crouched in a tough cycling position. They are the most affordable bike helmet choice for a mountain, road, commuter, and recreational bikers. They mostly include nice visors that shield the cyclist from the scorching sun. Use the store’s mirror to ensure the straps create a V shape slightly forward and under both earlobes. Choose the size that best fits you comfortably. You can also utilize the sizing pads to fine-tune your helmet fit. Ensure the helmet fit snugly. The head should partially compress the inner soft foam pads even when the straps are not tightened. Manufacturers advise cyclists to replace their head gears after an accident. Most biking helmets are destroyed after a bike crash. Other factors like air pollution, the sun, and weathering agents damage bike helmets after using them for some time. Therefore, it is crucial to replace your bilking helmet after every 5 years even if you have been crash-free. Avoid storing your bike helmet in excessive heat environments like car trunk, garage, and an attic. Heat-damaged cycling helmets also expose the user to potential danger in case of a crash. Never use chemical solvents to clean their headgears. Always use a sponge, clean water and mild detergent to clean your bike helmet. Wearing a helmet while riding a bike protects your head. Statistics of bike accidents suggest that 75% of deaths are caused by head injuries. And, experts say that 88% of head injuries could be prevented by wearing a helmet. Helmet acts as a protective cushion upon impact and saves you from possible death. Drivers of large vehicles often have difficulty in spotting bike riders especially during early morning and at night. Helmets with reflective straps make bike riders more visible even in heavy traffic. It offers protection from unexpected weather changes. You can ride your bike in harsh sun or a storm without the fearing of falling sick. Minors are bound by the law to wear a helmet as they are often inexperienced and hence vulnerable to accidents. Wearing a helmet gives you the confidence to ride during heavy traffic as well as harsh terrain without fear of injuries. Bottom line is that helmets are the most important safety feature for your bike, just like gloves and decent grips which you can see some of on this page. Always consider the above tips while shopping for affordable and quality bike helmets. Informed buyers always refer to reviews provided by the previous users to make the right choice. Helmets featuring MIPS technology are the best though slightly expensive. If you’re looking for a helmet, its best to remember that quality should never be compromised for the sake of price. Spending money on the best mountain bike helmet to protect yourself when hurtling over rocks and trees is one of the best investments you can make as an adventurous rider. Choose one that offers good protection, ventilation, comfort, fit, and coverage. However, since you have to account your personal preference, it may take time to finally decide which brand perfectly fits you.